Recently I got to visit the Dutch Wadden Islands. Ah yes, these exotic islands are known for their white sandy beaches, colorful houses and beautiful Caribbean women. Right? Not quite, but here’s why they’re still worth the visit! The Wadden islands are actually an archipelago off the coast of the Netherlands, Germany and Denmark. I visited Ameland and Schiermonnikoog, two islands that are a popular holiday spot for many Dutch people, Germans and Belgians. Ameland, the largest of the two, consists of 4 villages. Day tourists on foot will remain close to Nes where the 45-minute ferry embarks. Hollum and Ballum are located a bit more west. East you’ll find Buren, which mainly consists of farms. 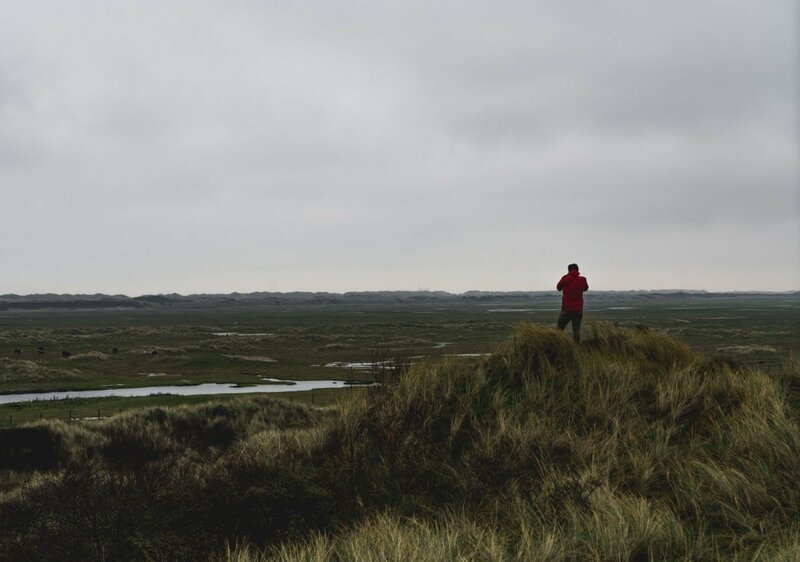 This whole island of Ameland is perfect if you’re into walking. The beach stretches as far as the eye can see so there’s more than enough beach for everyone! I can really see the appeal of coming here during summer. November is typically low season, as the weather is terrible most of the time during winter. Ameland has come up with an awesome solution for that! (to attract more visitors, that is, not to make the weather better). 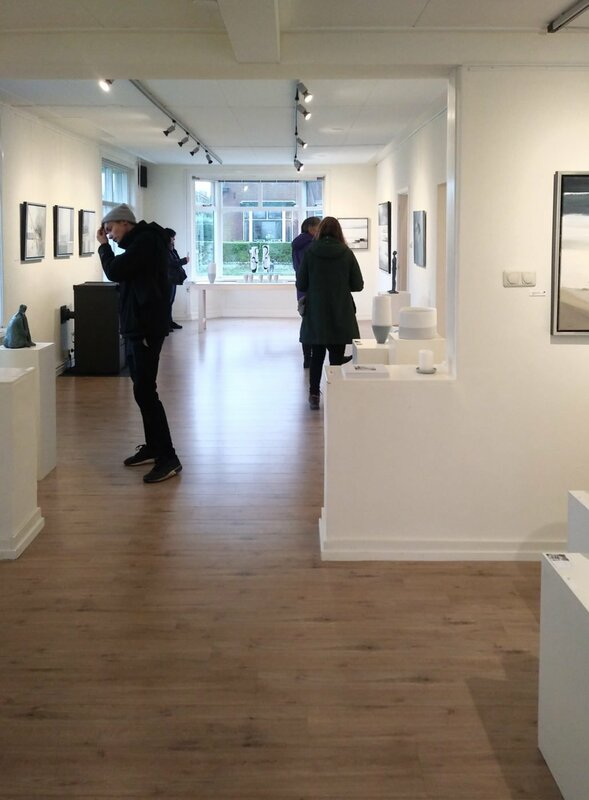 During the whole of November, it’s ‘Kunstmaand’ (= art month) on Ameland and it has been so for the past 21 years. Kunstmaand features artists from the Netherlands and beyond. Not only the locals hold an exhibition in their house, but the museums take part too, plus there are a vast amount of art installations spread across the island. In 2016 they even repainted the lighthouse and made it into a giant piece of art. Natuurcentrum is a cool place to take your kids to and learn more about this interesting area in the Wadden Sea. 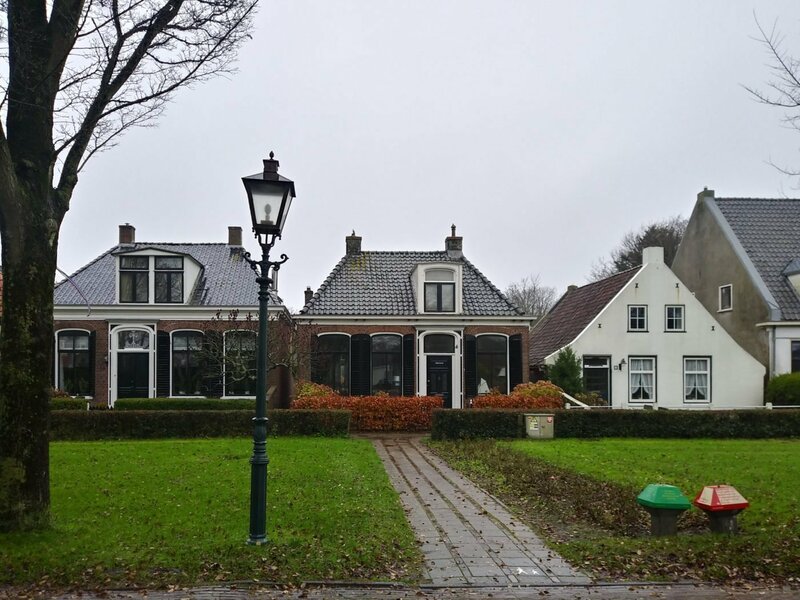 During my time in Ameland, I stayed in Hotel Nobel, in the cozy little town of Ballum. 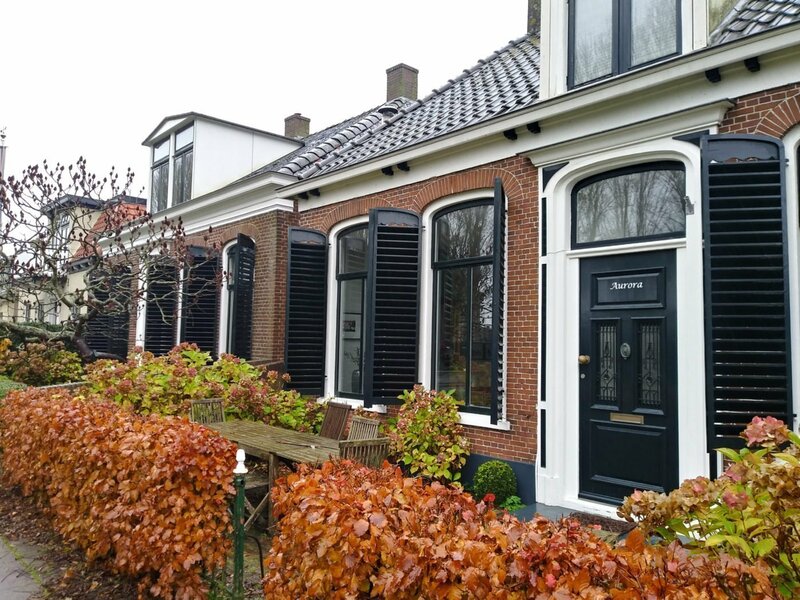 Hotel Nobel is in my humble opinion one of the best options to stay on Ameland. The combination of fresh rooms, a modern-styled restaurant and an authentic bar will make for a very pleasant stay. It is also the home of the famous liquor ‘t Nobeltje, Ameland’s finest export product. You can read a full review of Hotel Nobel here. 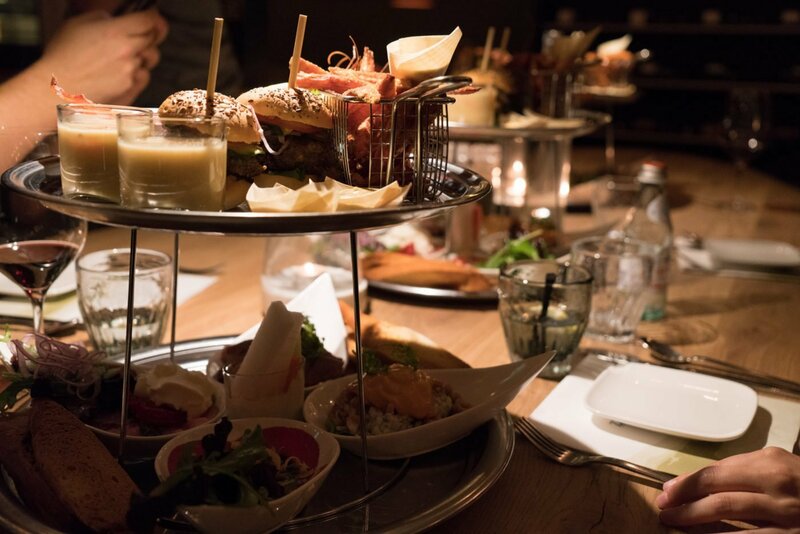 Apart from the fine restaurant in Hotel Nobel, I also highly recommend restaurant Zee van Tijd where you can eat a bit of everything, and ‘t Strandhuys (a modern beach pavilion) for a lunch full of local Ameland products. Schiermonnikoog is another Wadden island a bit east of Ameland. The similarities are plenty: very quiet and peaceful, lots of dunes, tiny little houses and quite windy in general. But Schiermonnikoog has a super awesome feature! In general tourists are not allowed to bring their car to the island. Moreover, only a small percentage of the population has their own car so this makes the island virtually car-free! 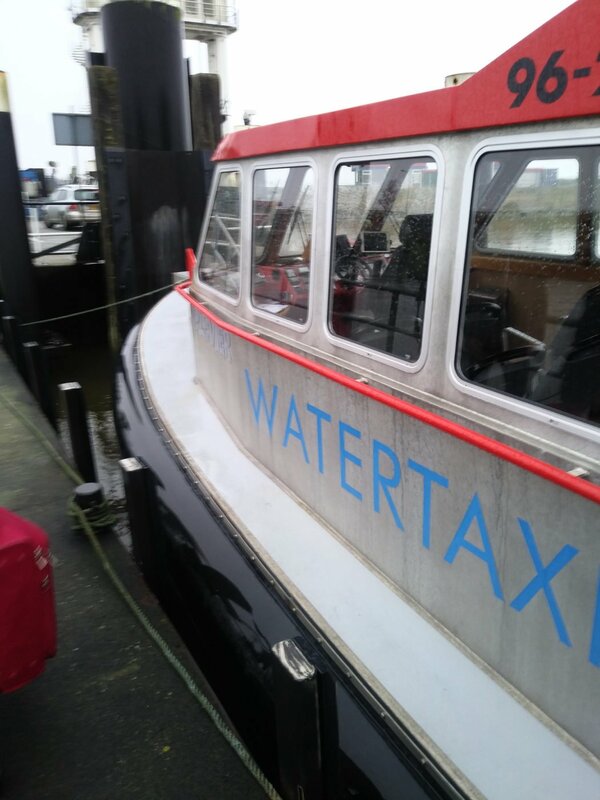 In fact, since you’re not allowed to bring your car anyway, you can take the super awesome water taxi to the island instead of that dull old ferry! You set foot on the island in less than 15 minutes after departure and it’s a much cooler experience. Locals are known to be a bit on the quirky side. In fact, those who move here from the mainland do so to get away from everyone and everything. Their favorite activity is to spend their time beachcombing (strandjutten as they call it). 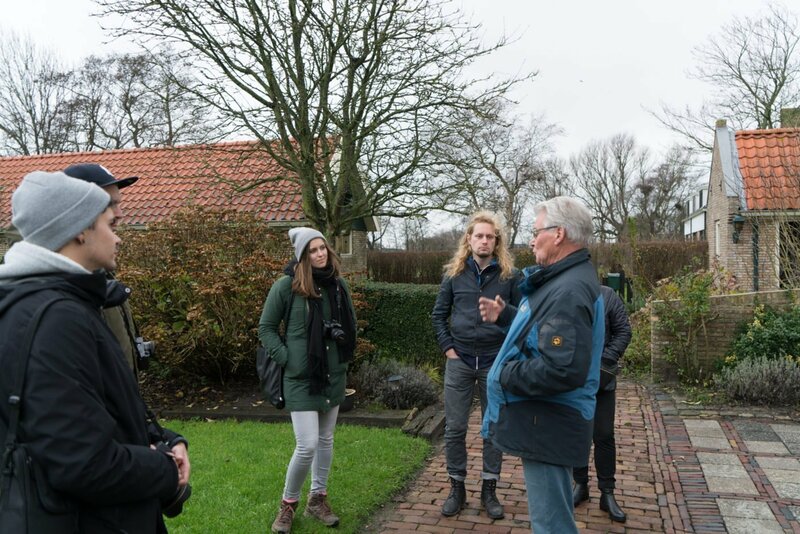 During a guided tour around town I got to learn about the most notable individuals of Schiermonnikoog, about that time the local joker switched all the jackets between two pubs; about that time the poacher appeared in court while carrying a suitcase full of rabbit furs, and more cool stuff! Way more interesting than just boring facts. Later on, I opted to rent a bike (When in the Netherlands!) and went exploring the island. I noticed there are a lot of WW2 bunkers in the dunes. The eastern part of Schiermonnikoog is a great place to see just how shallow the Wadden Sea is. Big chance you’ll spot some seals! Even though the weather wasn’t all that, I really enjoyed my slow travel on Ameland and Schiermonnikoog. Can’t get enough of the Netherlands? The southern part of the country has a lot to offer as well. Read more about the province of Brabant here.